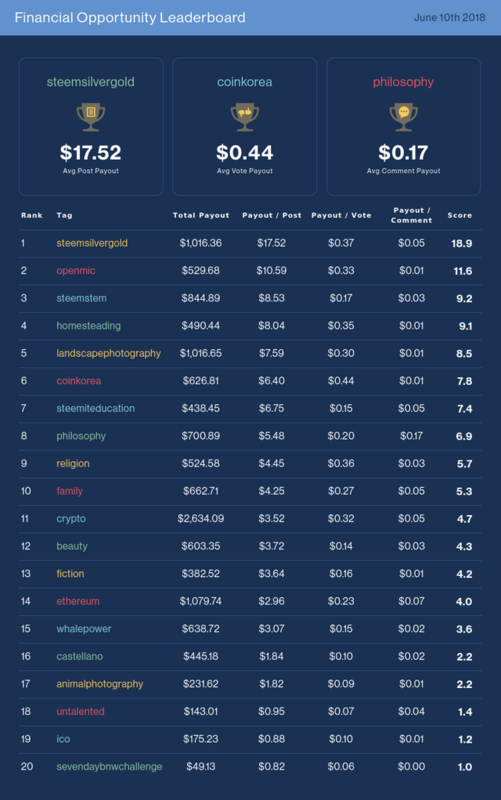 Each day we award and rank the top performing tags across the Steem ecosystem in terms of community activity and reward opportunity. 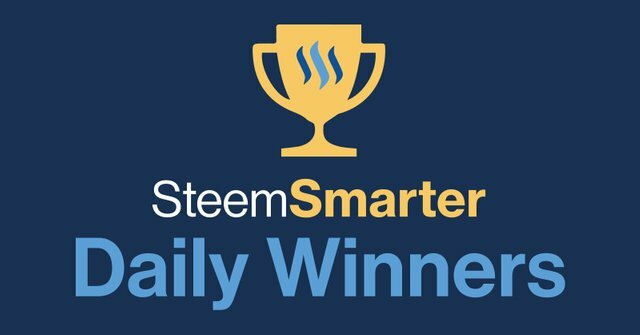 Congrats to the winners today, #steemsilvergold and #steemsilvergold!! Your best opportunity to make rewards and increase your comments, upvotes and followers. Find which tags are your best opportunity to make rewards. If a tag has a high reward score, then the community wants more content related to that topic. Writing relevant and quality content about these tags could result in more rewards for your posts. 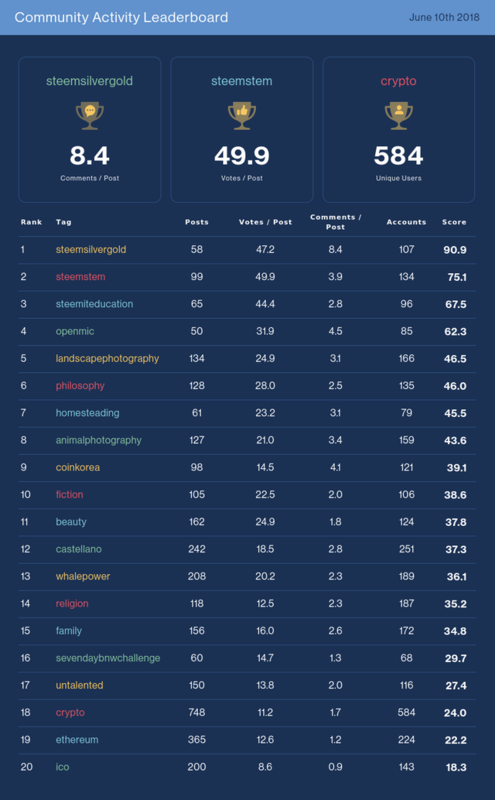 Find which tags are your best opportunity to connect with your community, earn upvotes/comments, and increase your followers. Remember — Don't tag spam or you'll end up on the community's naughty list. @ashe-oro @crypthoe we have MVP on the V2 using the staging data for today!! !